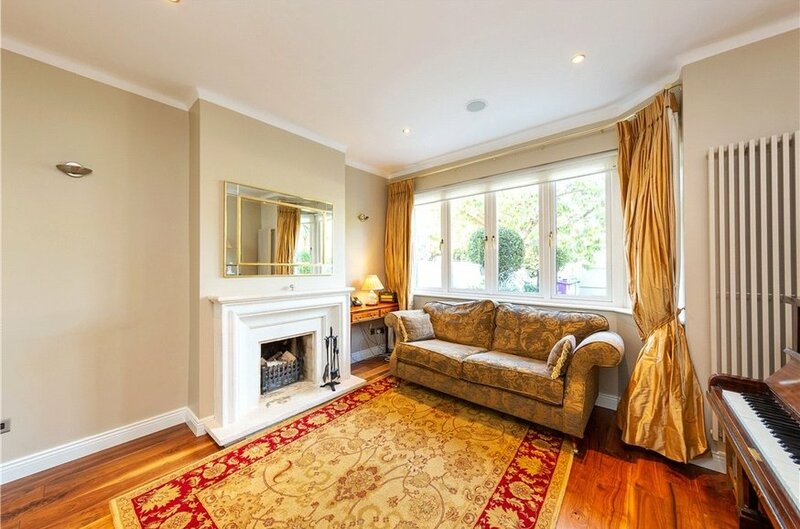 Gas fired radiator and underfloor central heating. 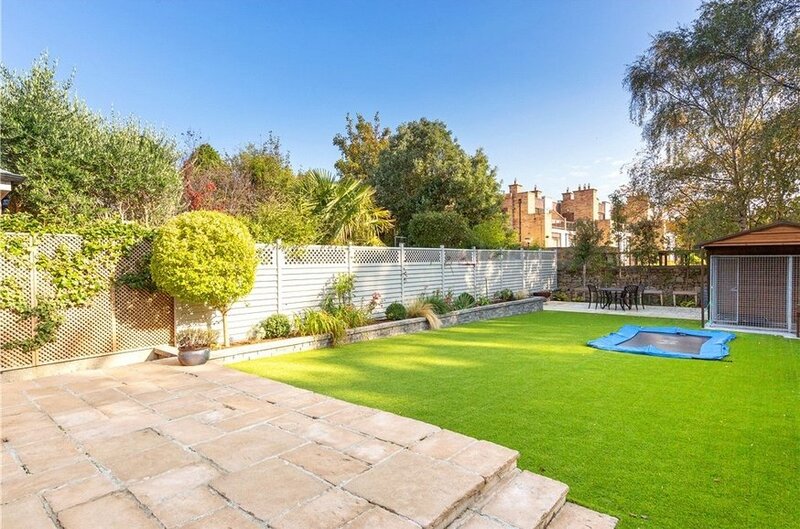 A magnificent fully refurbished red brick family home, enjoying an attractive position on this mature peaceful residential road and further enhanced by a stunning rear garden and ample off street parking behind electronic gates. 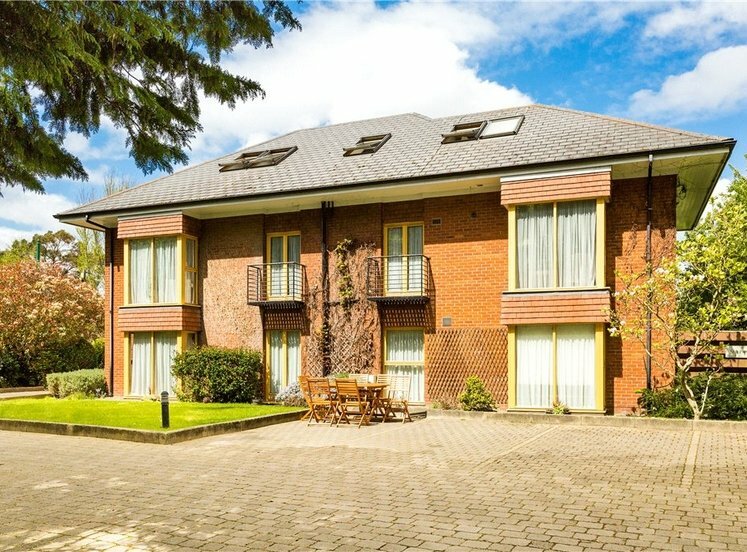 The property offers bright well laid out accommodation of approximately 185 sq.m. 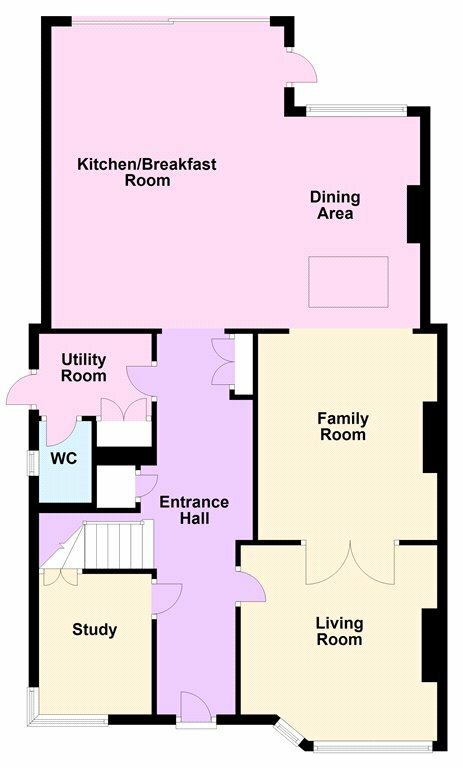 (1,991 sq.ft. 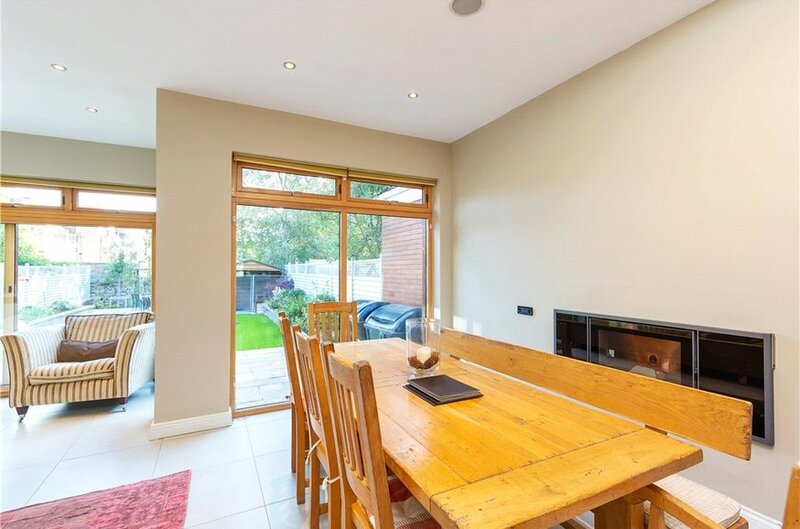 ),together with a further 30sq.m. 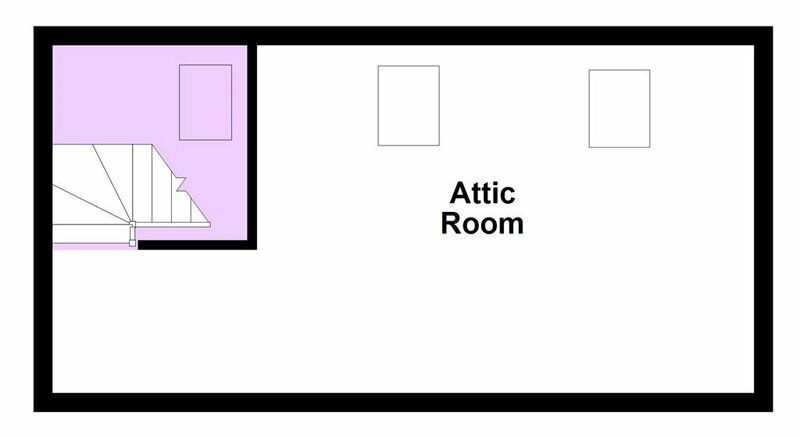 (322 sq.ft.) 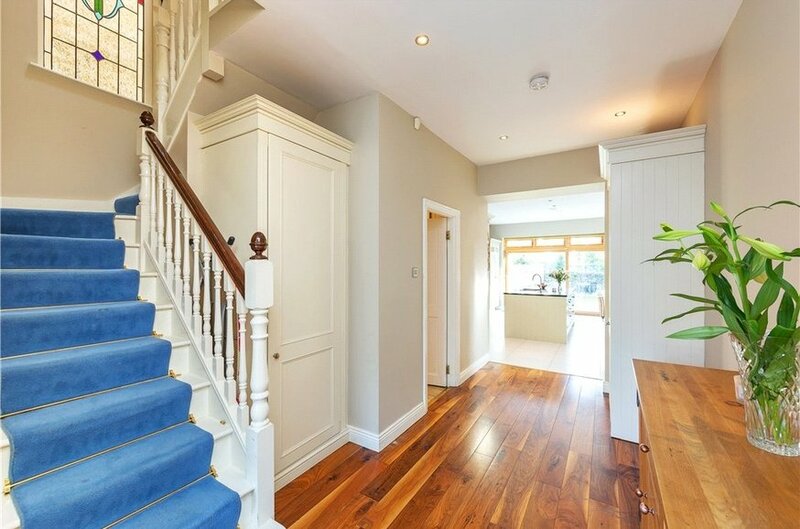 in the clever converted attic. 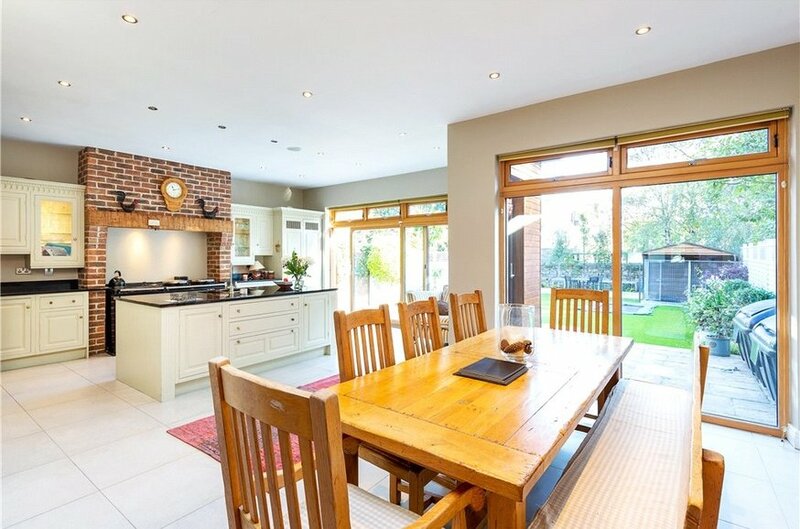 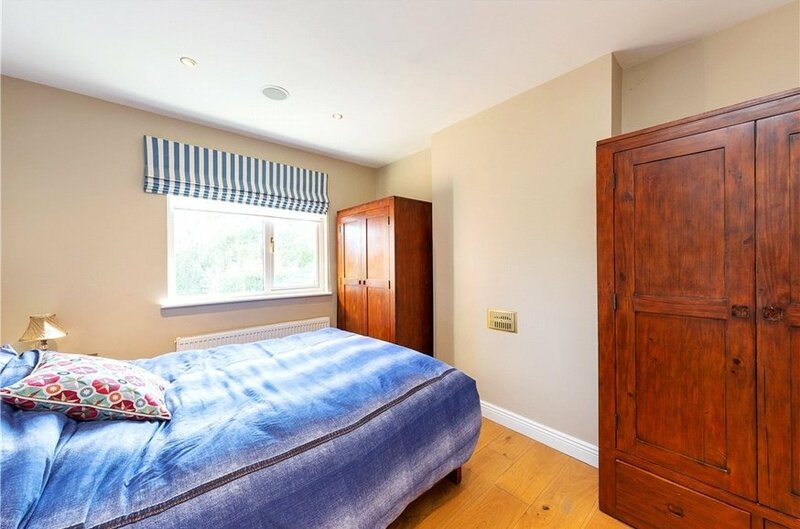 The two interconnecting reception rooms are well proportioned and lead to a stunning open plan kitchen breakfast room with floor to ceiling glass opening into the rear garden. 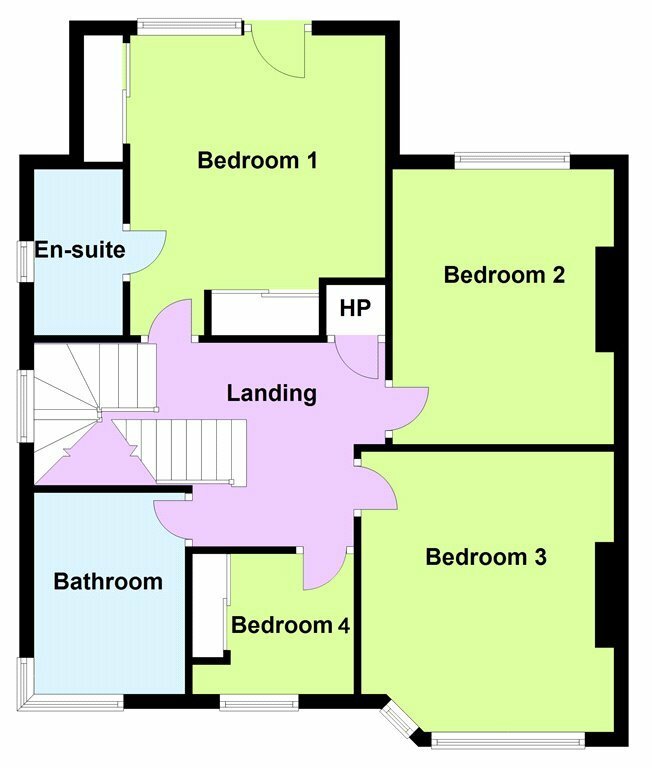 The ground floor accommodation is further enhanced with a downstairs w.c., utility and study/living room. 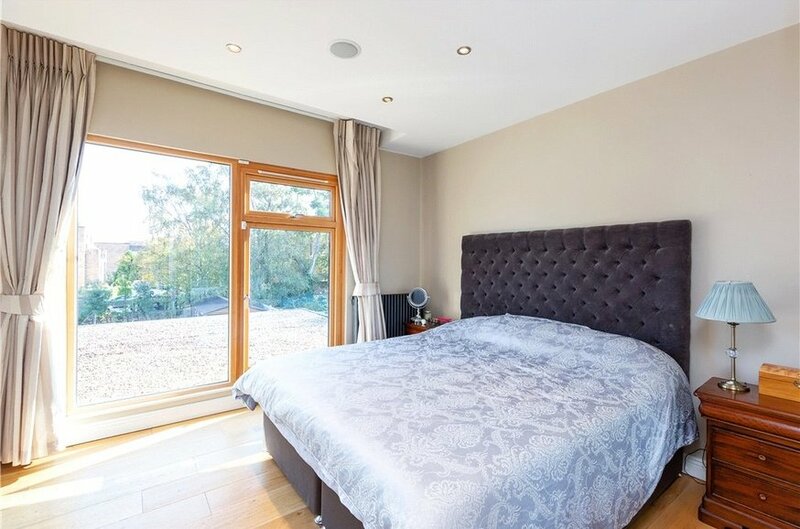 Upstairs there is a very fine master bedroom overlooking the rear garden together with ensuite, 3 further bedrooms and family bathroom. 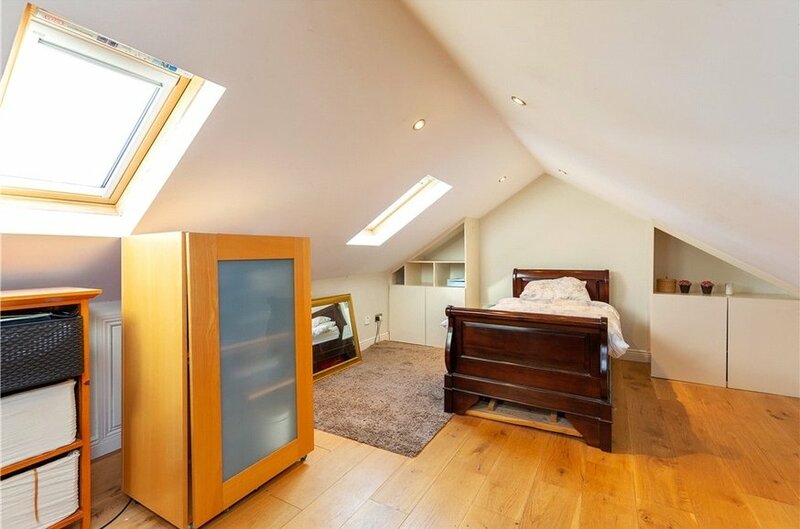 A particular feature to the property is the converted attic that is ideal for a home office. 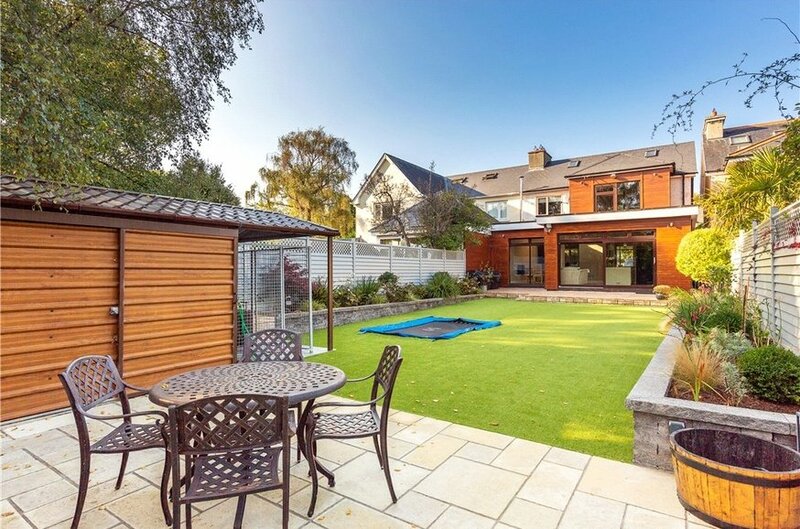 To the front there is a large landscaped driveway set behind electronic gates while to the rear there is a very fine low maintenance garden with artificial lawn, raised flower beds, patio area and built in sunken trampoline. 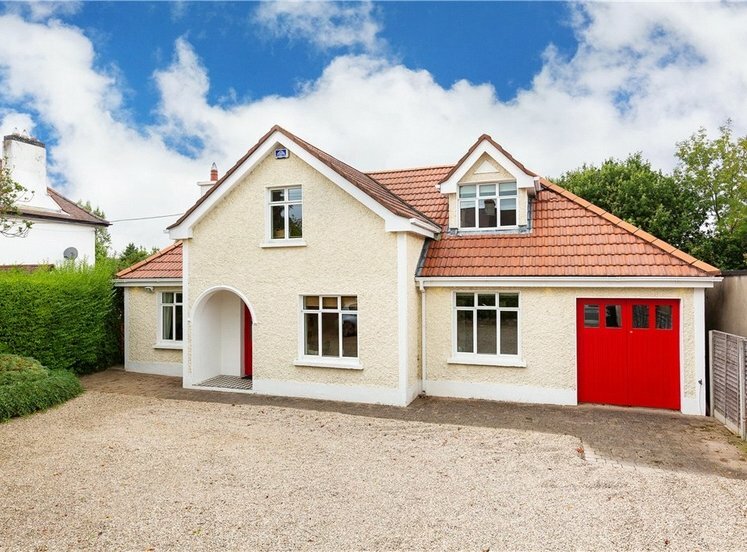 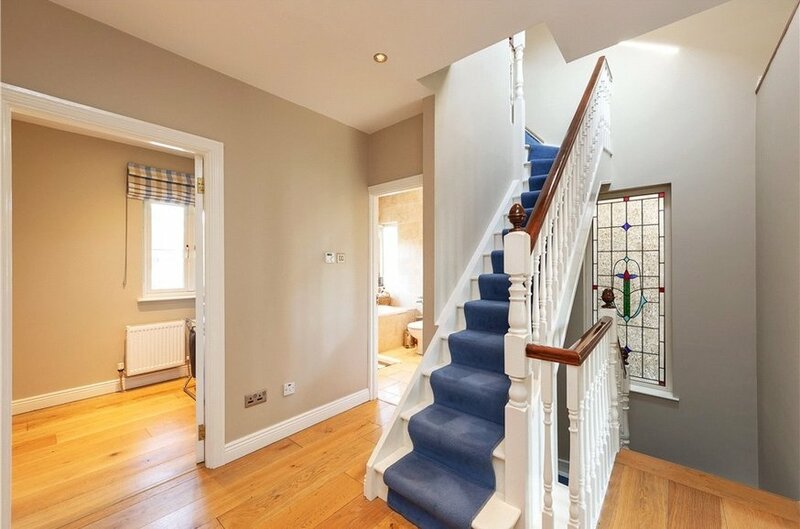 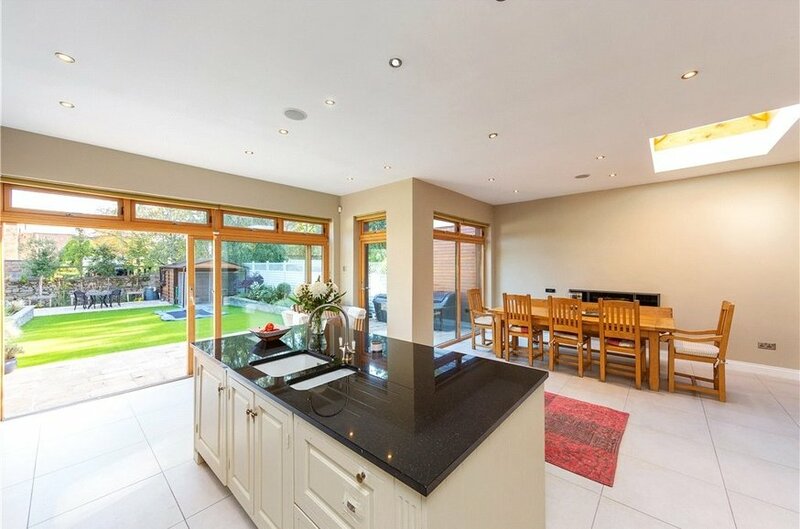 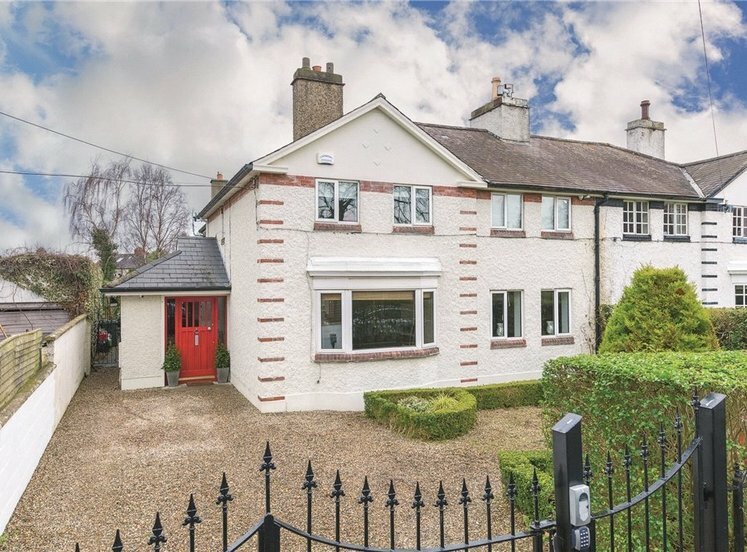 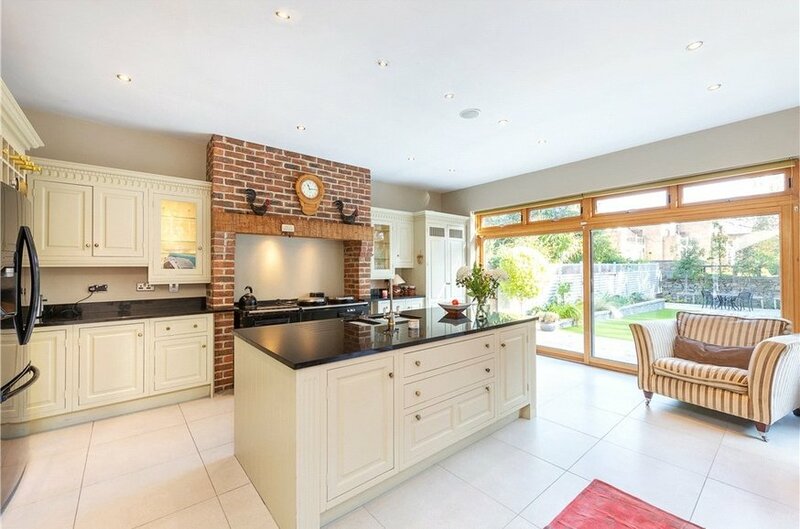 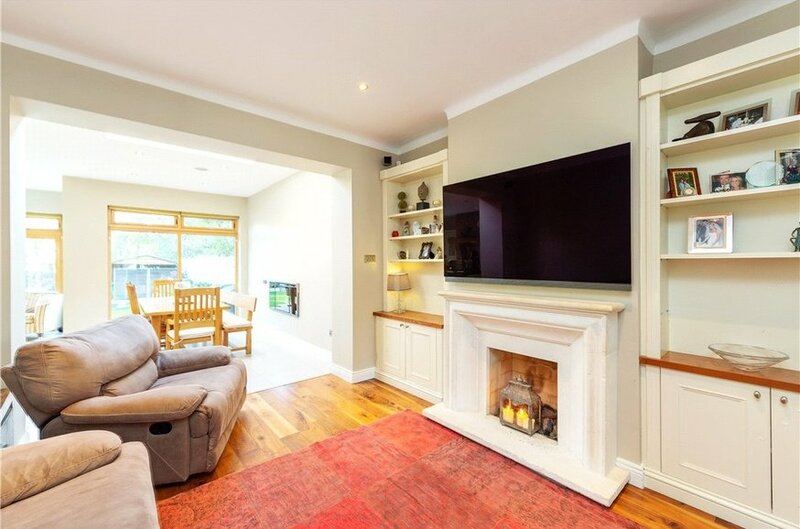 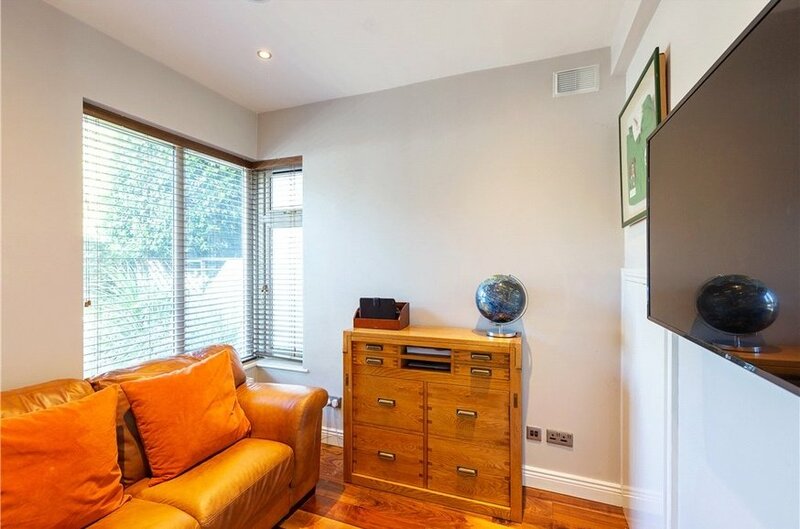 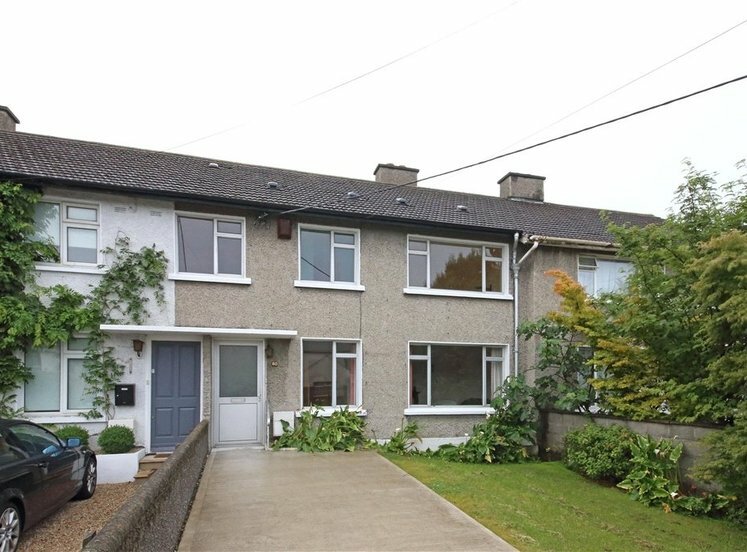 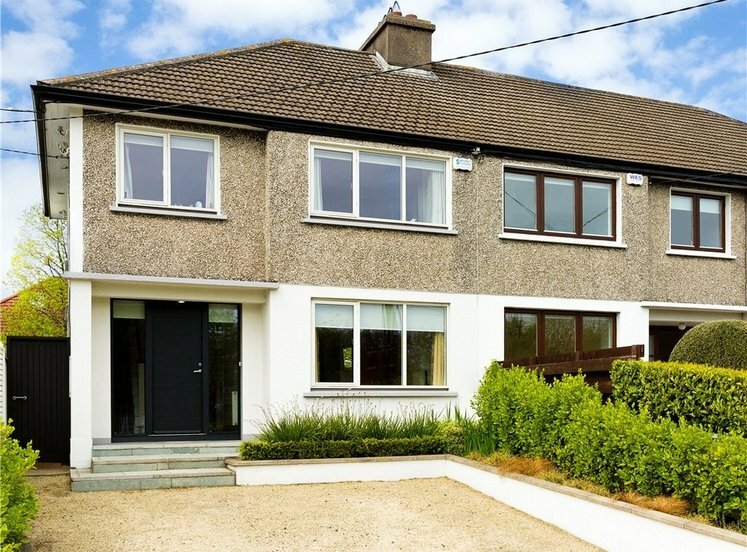 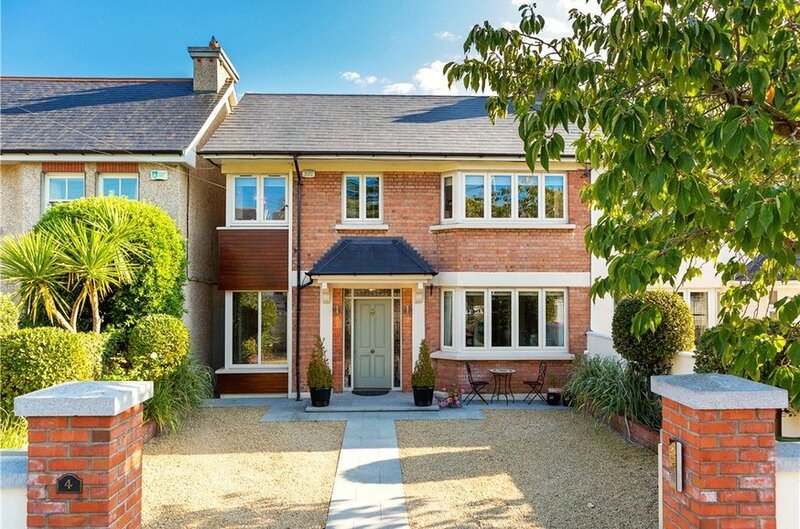 Grove Avenue is a highly sought after residential road in a popular location in the heart of Blackrock. 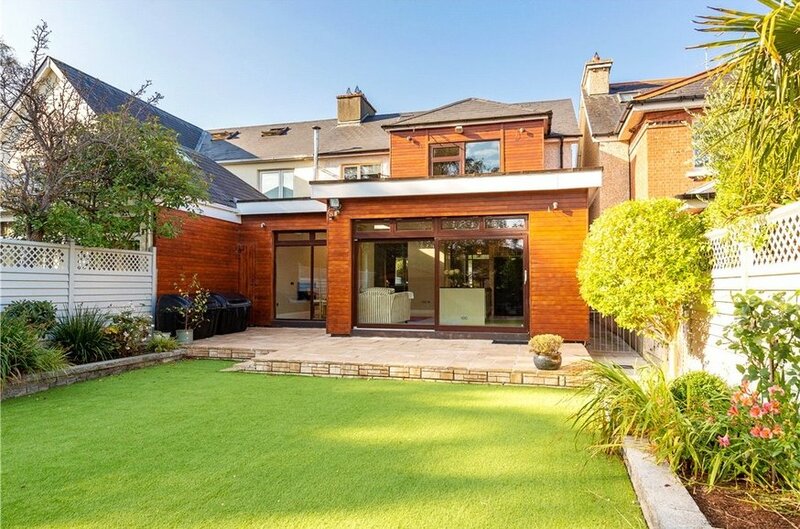 Excellent transport facilities including the DART Station and the Stillorgan QBC are nearby. 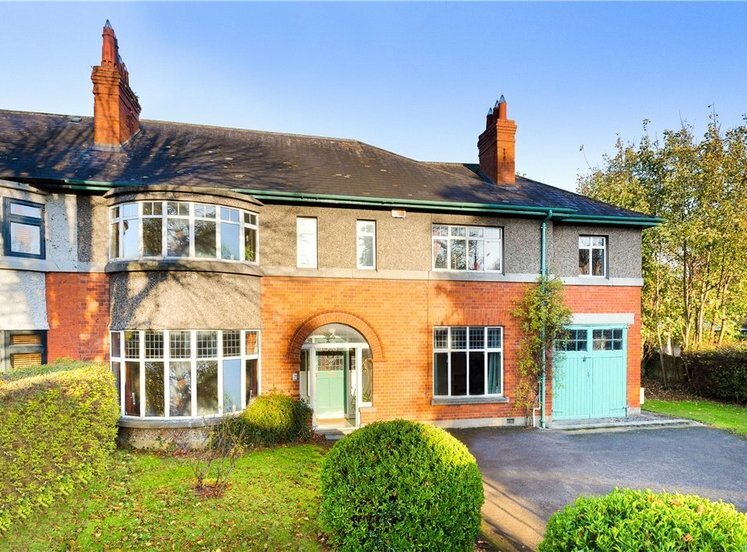 Also within close proximity are some of the countries best known schools, UCD’s Belfield and Carysfort Campuses and churches of many denominations. 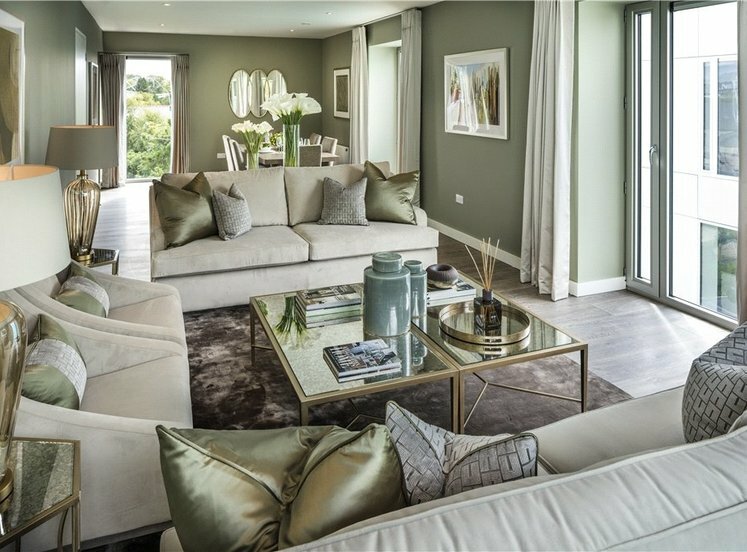 Dublin’s premier shopping centres at Blackrock and Stillorgan are nearby as is the N11, with easy access to the M50. 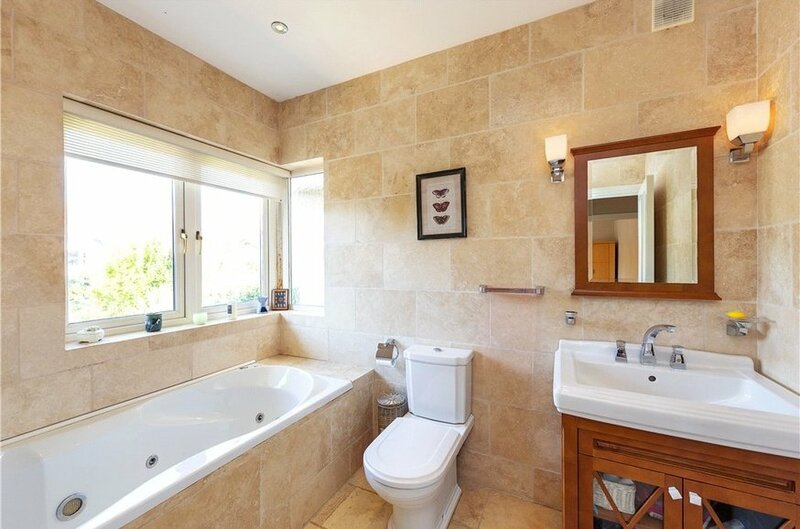 with wash hand basin, w.c., marble tiled floor and walls. 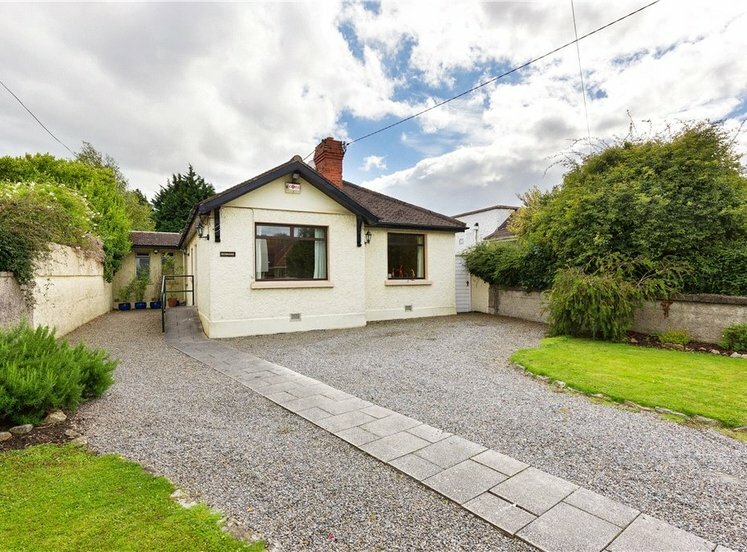 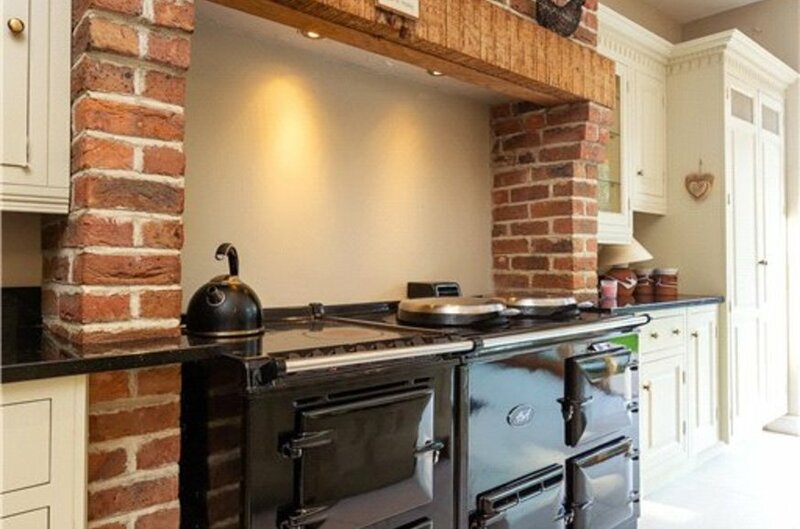 with feature self-feeding wood burning stove and picture windows overlooking rear garden. 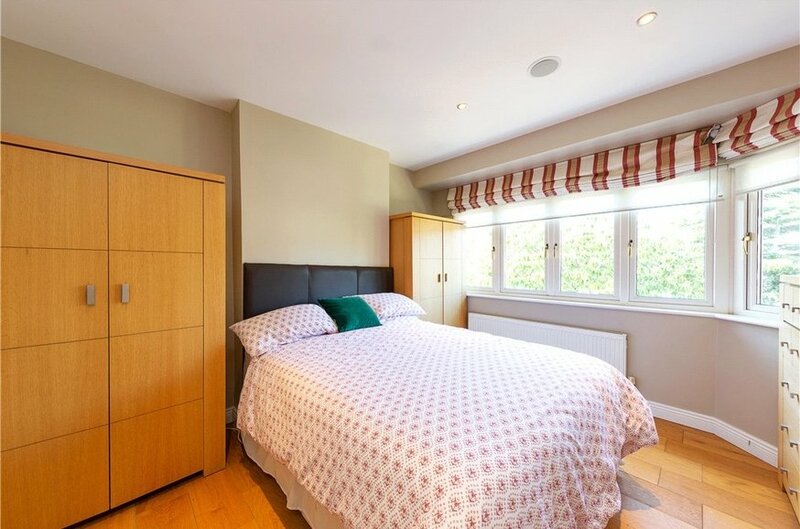 with large double shower, w.c., circular stone basin and marble tiled floor and walls. 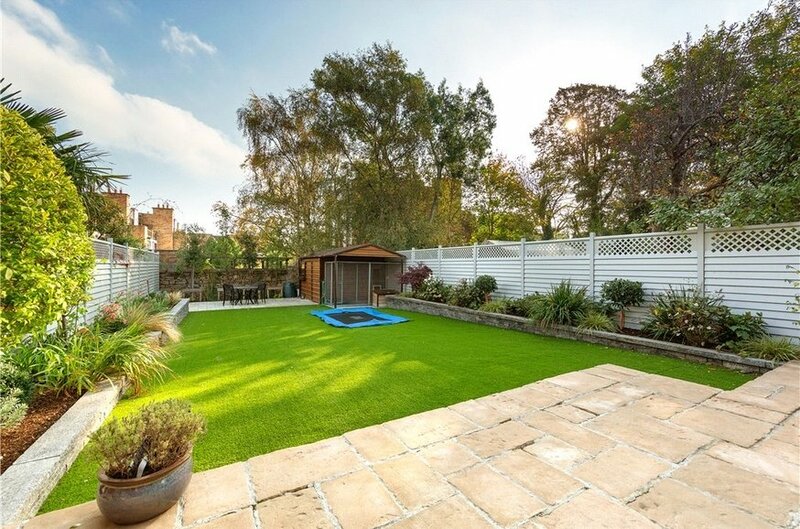 To the rear is a magnificent garden with large patio area, artificial low maintenance lawn with raised flower beds, large shed together with side access.